Picnic, nice weather, family and friends, it's time for Spring! 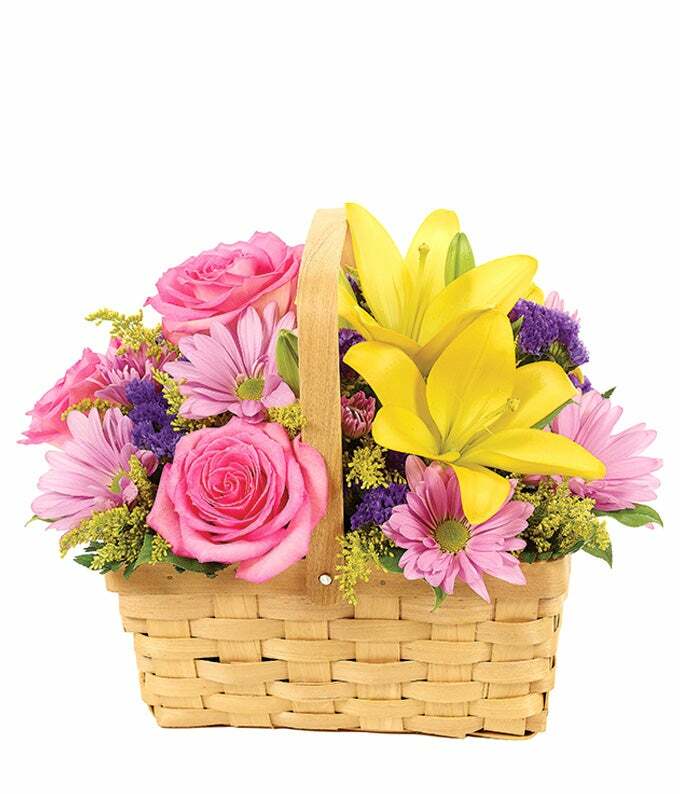 This floral basket brings joyful Spring delights to your home. Send one today to brighten up any room. Hand-delivered by a local florist in a weave basket. Measures 10"H X 11"L.